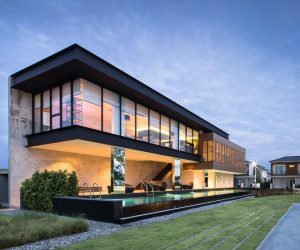 While Bangkok may be best known for its busy streets and frantic pace, this house is a serene and sprawling sliver of life. 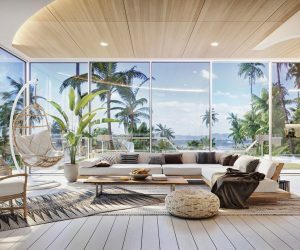 This inspiring residence features beautiful gardens, a creative layout, and simple minimalistic decor. 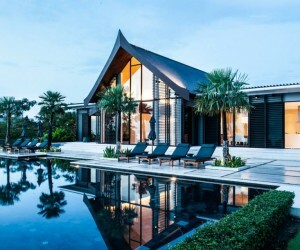 These photos from Soopakorn Srisakul give a vibrant look into three modern Thai homes. 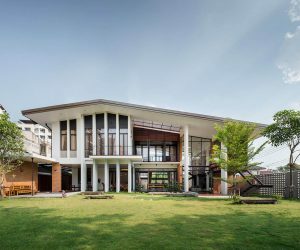 A contemporary clubhouse on a luxury housing development, built using a cantilevered design, with glazed walls. 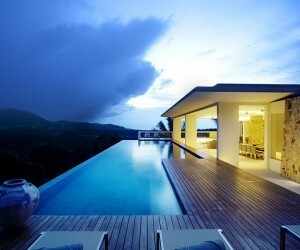 Stunning contemporary Thai villa with fresh white decor and furnishings, and breathtaking beach front views. 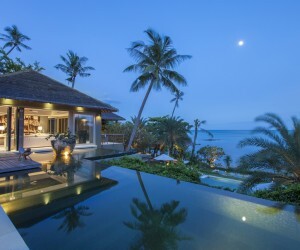 A luxury Thai villa with open sided pavilions that lead out onto landscaped gardens and two ocean view pools. 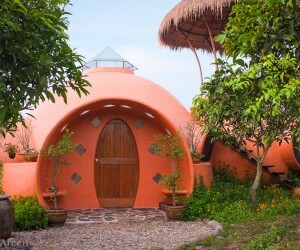 Looking through the build stages and final result of a tiny home, with a quirky pod shape, in Thailand.